You were made to live - and parent - in the freedom for which Christ has set you free, and I am so excited about being on this journey with YOU! This Manifesto, full of quotes from the book, will equip you to remember the Good News in your parenting on a daily basis! Print this out and prepare to LIVE FREE and GIVE GRACE! This Bible verse is the heart of MOM SET FREE. This playlist includes many of my favorite songs that inspire me and empower me to live in freedom! In fact, many of these songs played on repeat in my office as I wrote MOM SET FREE! So you can start reading NOW! Are you ready for relief? You will receive an email that contains the download links after you verify your email address. If you don't receive it, check your spam/junk folder. You can also contact me if you have any problems. It’s time to breathe deeper, walk lighter, and reclaim the wonder and adventure of parenting! 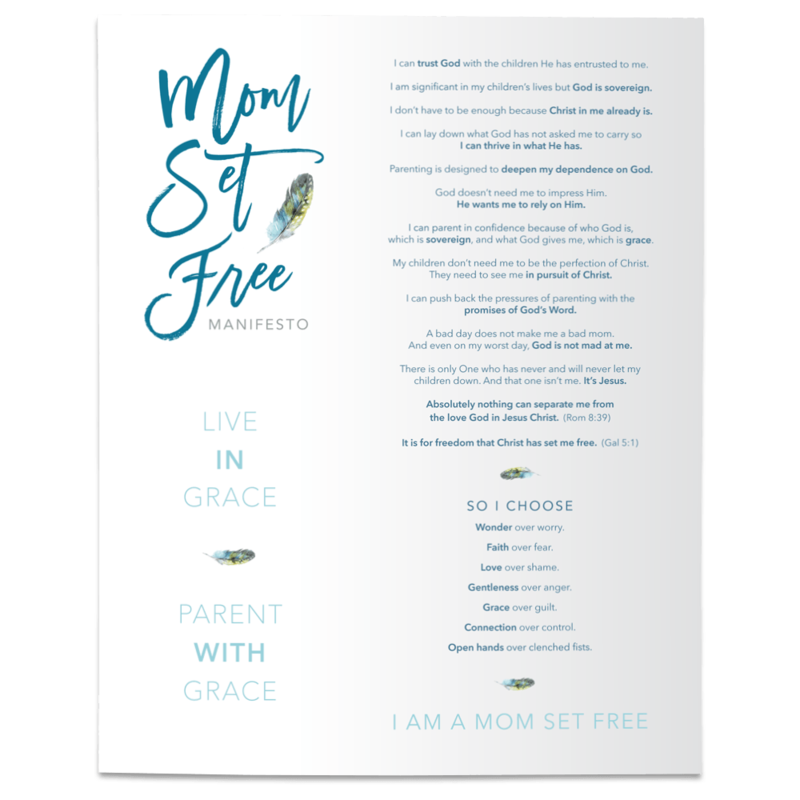 This Manifesto, full of quotes from the book, will equip you to remember the Good News in your parenting on a daily basis! Sign-up for my rather inconsistent - but always encouraging - newsletter for your free download. I’d love to stay in touch!